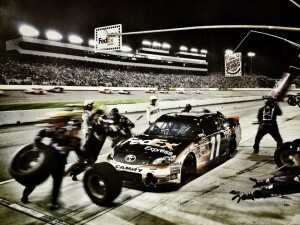 Denny had a lightning fast car all night at Richmond International Raceway. Unfortunately strategy wouldn’t play out and Denny would come home with an 18 place finish. Denny led the majority of the race. During a rain delay around half way, Darian opted to not pit while it rained just in case they called the race right there. The race would go on to continue and Denny was forced to pit putting him far back in the field. Denny drove the #11 FedEx Toyota Camry back up to 2nd position before being told he would need to save on fuel with Clint Bowyer leading. Unfortunately Denny had to save so much that Jeff Gordon who was contending with Denny’s teammate Kyle Busch would pass Denny for 3rd. Denny couldn’t be an extra car in between Gordon and Kyle Busch just in case the Chase Wildcard Spot came down to one point, so the team opted to pit. 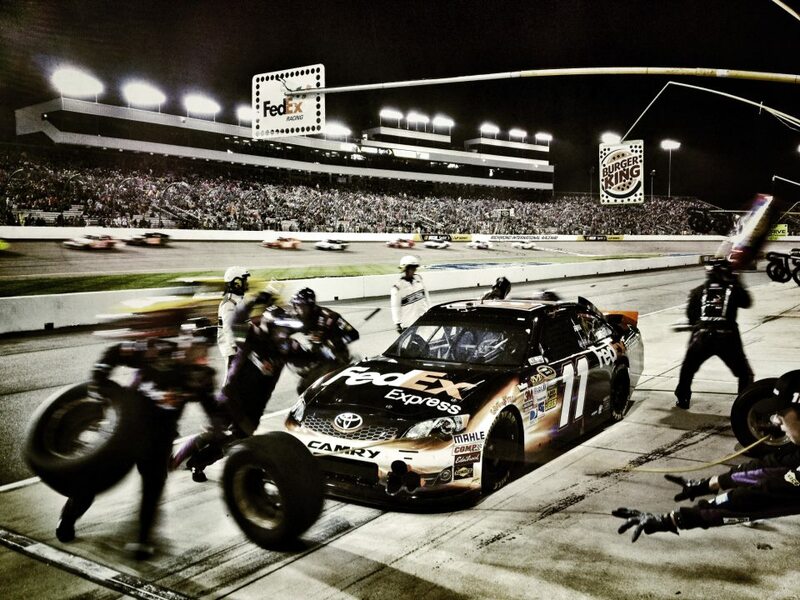 Darian Grubb put four tires on the car in order to spend as much time on pit road as possible and let Kyle pass him. When Denny came back onto the racetrack he followed behind Kyle for the remainder of the race to ensure that his team mate got the most amount of points possible. Unfortunately Kyle still did not make the Chase, but Denny was a great teammate none the less. The team also proved they had a lightning fast car that was the fastest car on track for the night. This will be great momentum heading into the Chase as Denny is now the points leader heading into the first race at Chicago land.